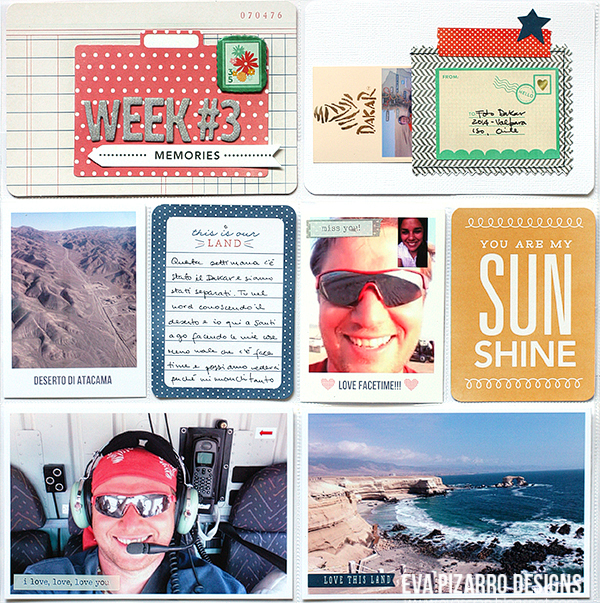 February 2014 - Pebbles, Inc.
We’ve had such fun sharing an array of fun ways to use journal cards this week. If you’re still not sure how you’d use them though, today’s journal card mini book by Designer Marjan Pel will definitely win you over! The new line “Special Delivery Boy” is perfect for a mini book. I used the 6×6 paper pad for the base and adhered 2 sheets of paper for the inner pages and 3 sheets of paper for a more sturdy cover. 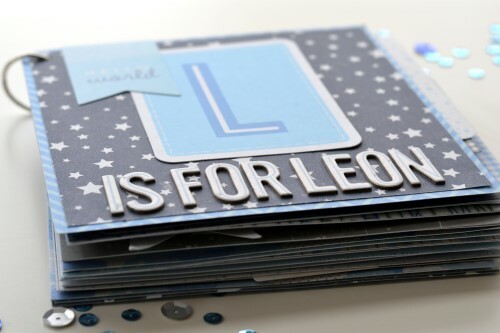 BUT, it was the journaling cards that came in quite handy. I used them as an embellishment and for the journaling. I adhered at least 2 journaling cards to each double spread. 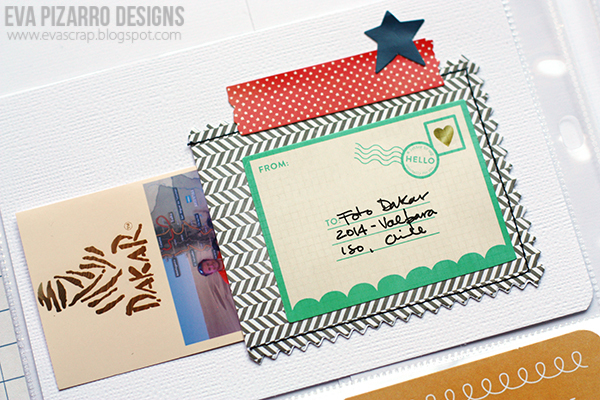 Some of the cards work as an hidden journaling behind the photo or patterned paper. 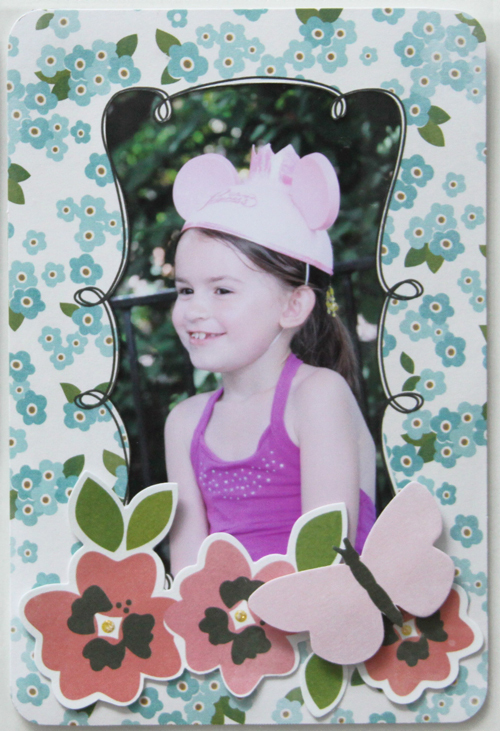 I embellished the pages with lots of coordinating stickers, die-cuts, photo overlays and the cute paper clips. To give this mini book a more personal note I wrote some sentiments like “sweet”, “cute” or “you are loved” with a brush and Mr. Huey’s Misting Spray in navy on 4×4 sized patterned paper. 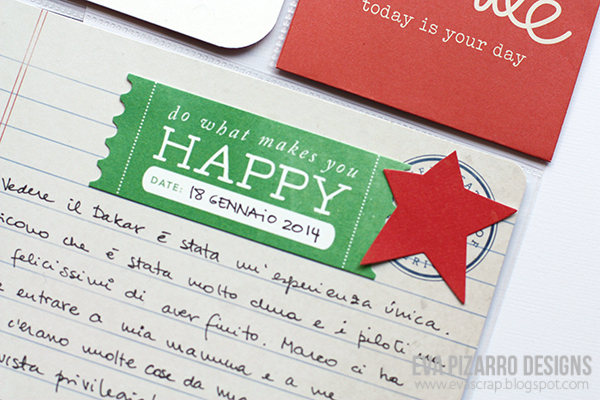 I stamped more sentiments with a roller stamp. 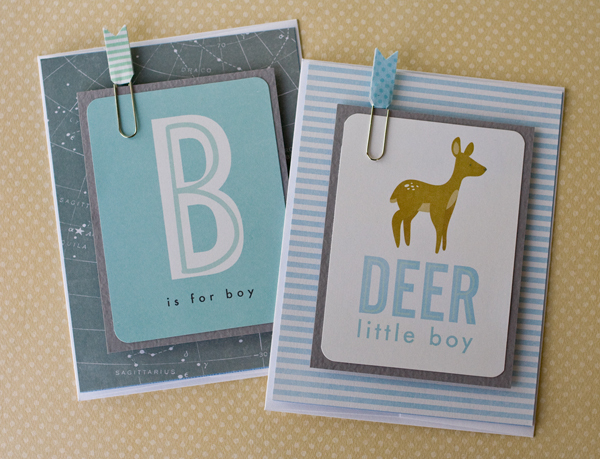 Not every one is as talented a card maker as Designer Kim Kesti, but everyone can easily create these super-simple handmade cards created using Pebbles journal cards and a few embellishments. 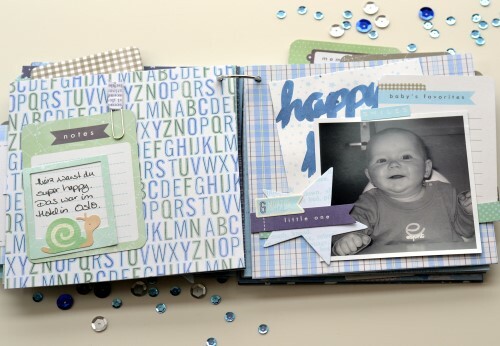 It’s a blast playing around with journal cards – especially the baby ones. 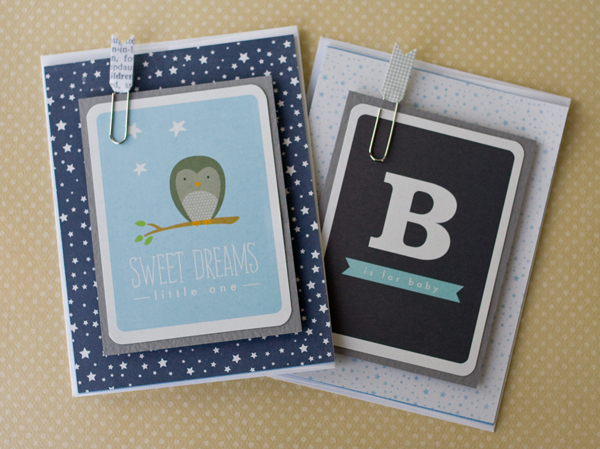 Check out this fun set of baby cards created using some cardstock, a couple of paperclip-style embellishments and some fun journal cards. 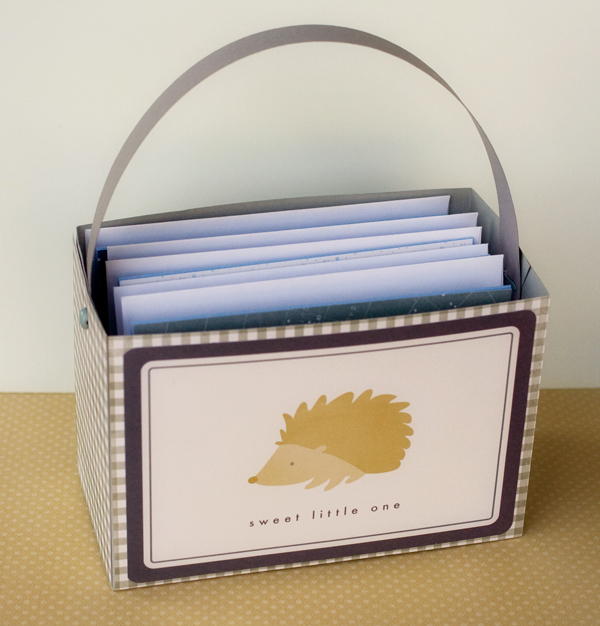 I also made a quick gift bag to hold all of the fun cards. If you’d like to learn how to make the bag, pop over to my personal site. 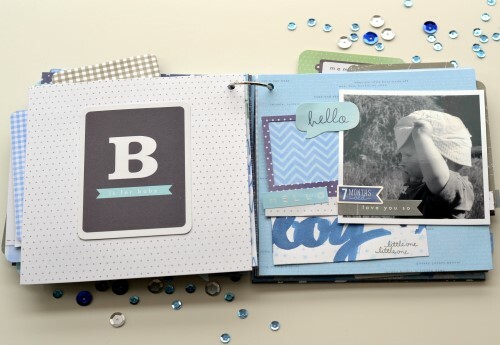 Photo pocket page scrapbooking inspired by Project Life is all the rage right now and our journaling cards are perfect for a little change in your album. 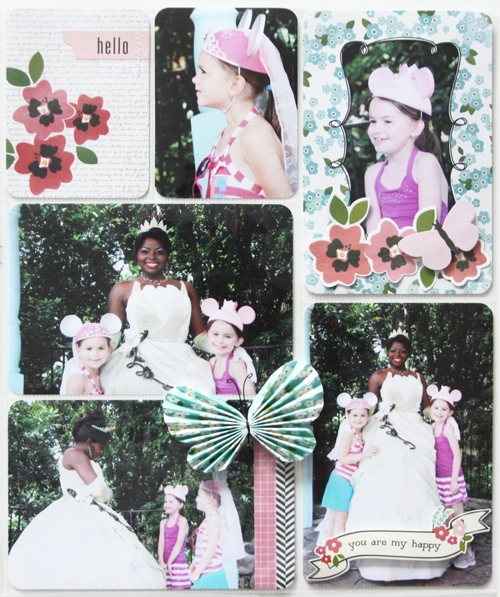 Today Designer Renee Zwirek is sharing how she used Garden Party journaling cards in her Disney photo pocket pages. I’m back with another pocket page spread for my Disney album. 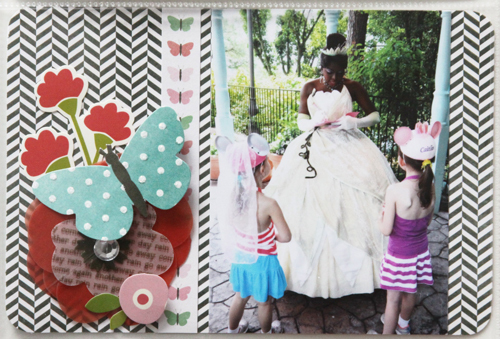 The Garden Party collection journaling cards were absolutely perfect for when my girls met Princess Tiana in the Garden Glen next to Cinderella’s Castle. It was very exciting and fun for them! Using a craft knife, I cut up a few of the journaling cards. For one of the cards, I used the banner flag for a simple title. I really love the Flower Packet of die-cut flower and leaf shapes! I love, love, love these new Thickers, too. SO pretty! 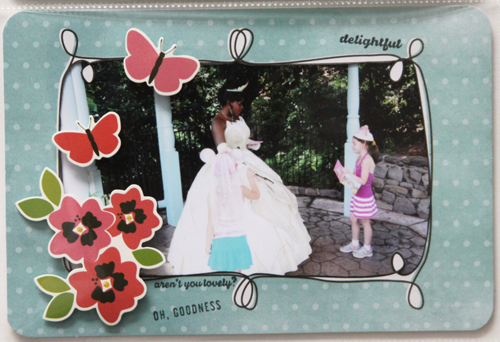 For the other two cards, I cut out the center sentiments and used them as frames for a few of my photos. 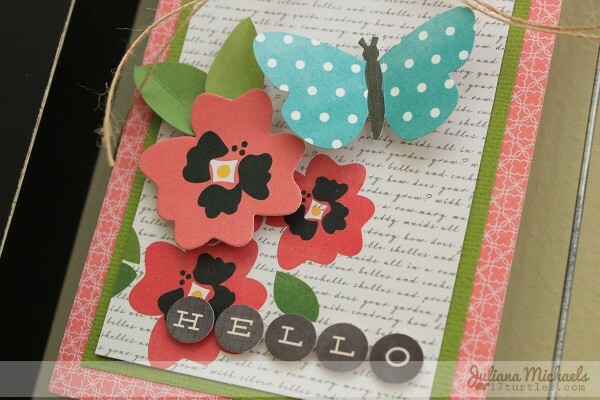 Of course, I used this “Hello” journaling card for my journaling. 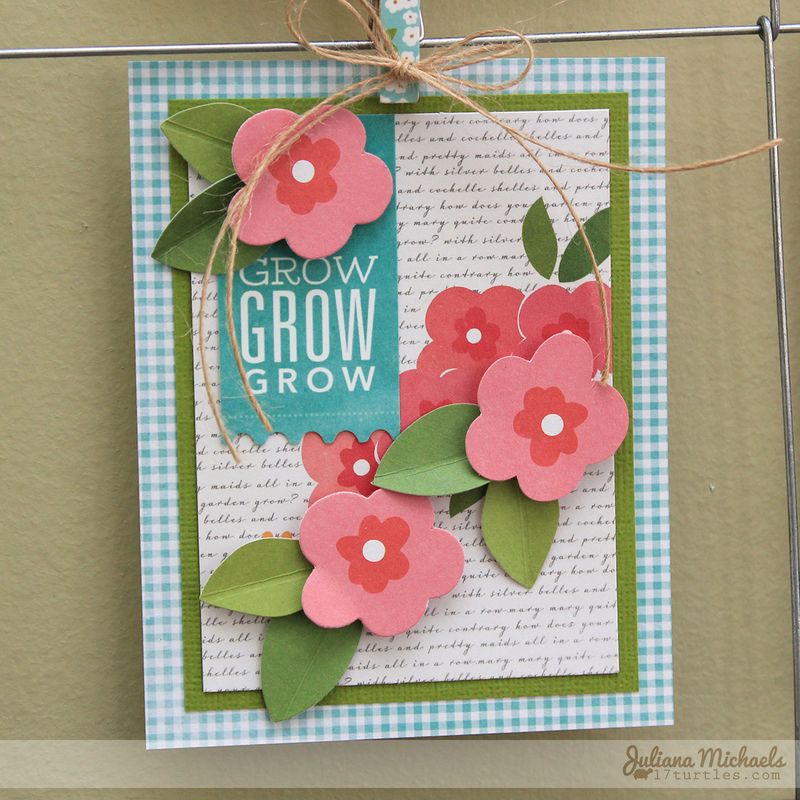 I used another journaling card as a pretty background for another photo. 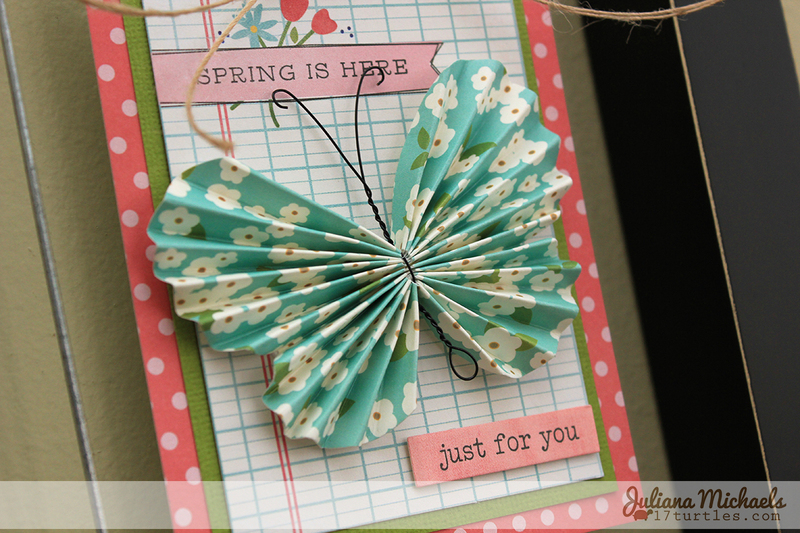 I added some flowers (loving the layered vellum and gem Dimensional Flower) and a Cardstock Shape “butterfly” for decoration. This Dimensional Butterfly was the perfect finishing touch to my pocket page spread. 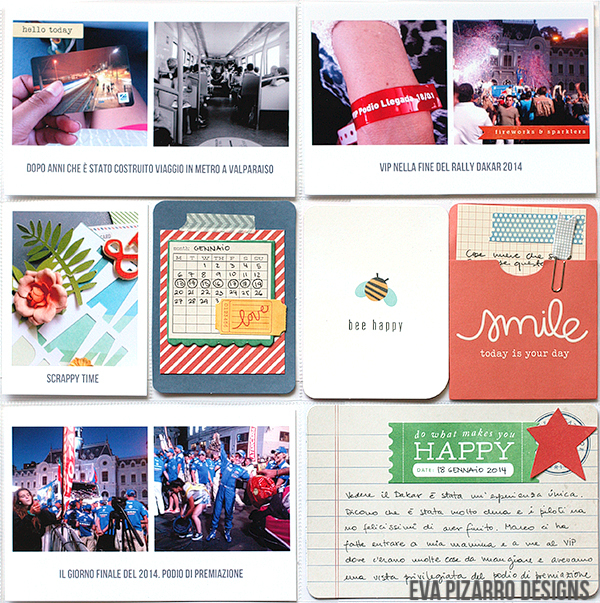 We love how Designer Eva Pizarro is doing photo pocket page scrapbooking with Pebbles journal cards. 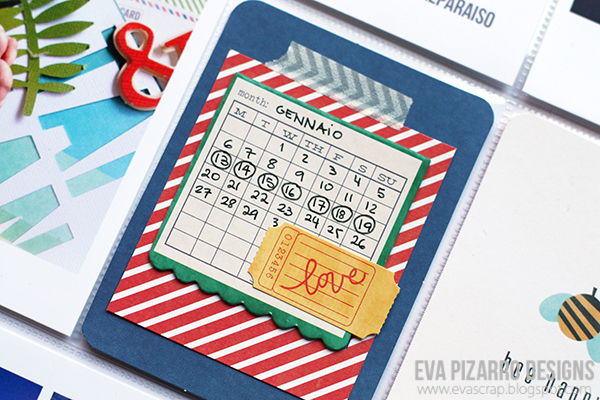 She’s mixed and matched cards from several different lines in this fun layout. Pebbles’ Journal and Phrase cards are so versatile! 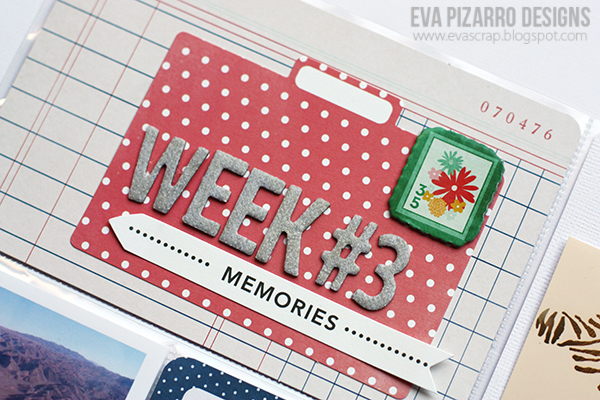 You can use them to make a mini, for a layout or for a Project Life Spread like I did here. 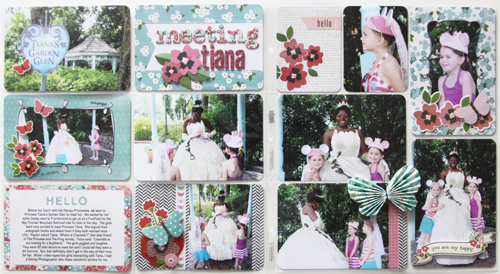 I used mostly cards from the Americana collection because they matched my photos perfectly. It is great that I can use a theme collection for everyday photos! Tip: Sometimes writing directly on your photos using a photo editor can be tricky. Achieve the same look with rubons. I love the white ones from Pebbles. 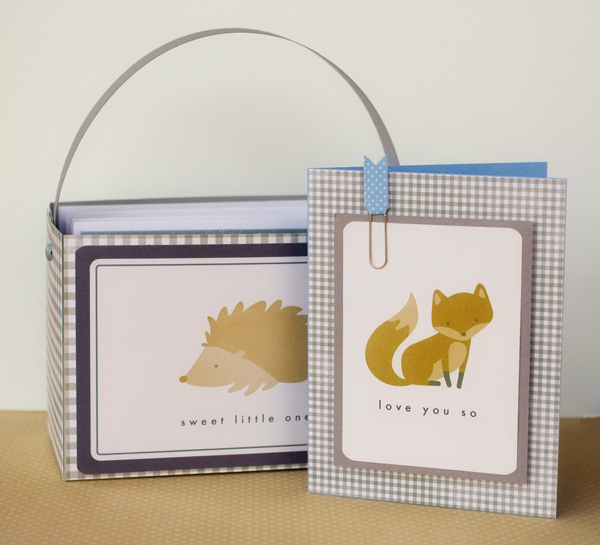 You might have noticed that most of our collections include a pack of journaling cards. We love how versatile these cards are and this week challenged some of our design team to come up with a project featuring the cards. We think you’ll love what they’ve come up with. 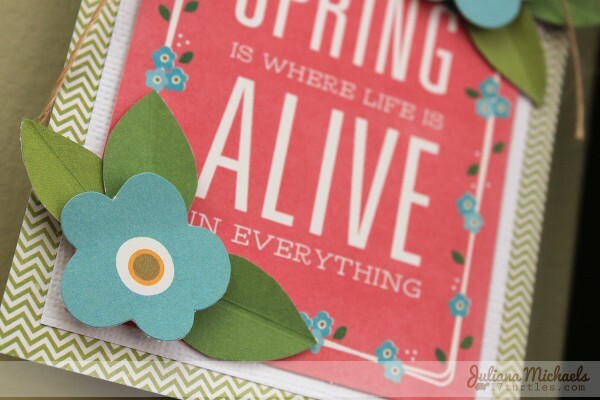 We’re kicking things off with an awesome piece of framed art for spring created by Designer Juliana Michaels using the Garden Party line. I love to challenge myself to think outside the box when it comes time to create using products that are designed with a particular use in mind. 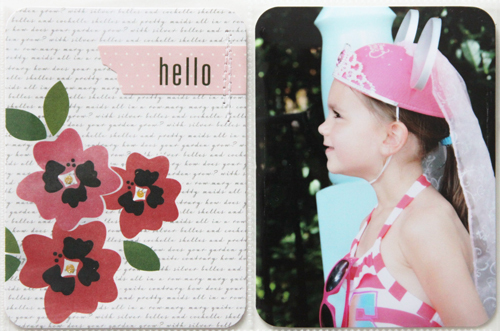 Take for example the Pebbles, Inc Journaling Cards. 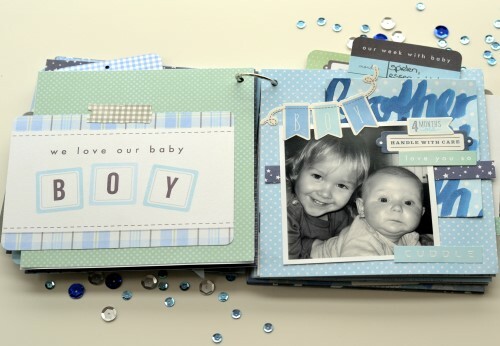 At first glance, you may think they are only for scrapbook pages – specifically the ever popular pocket style. 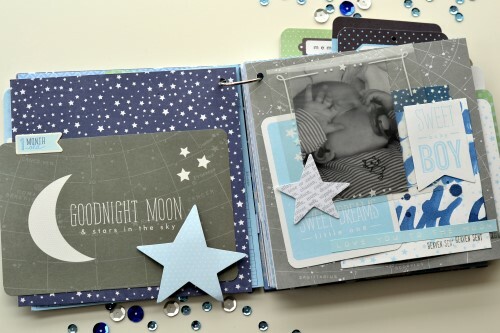 However, if you step outside the box and look at them a little differently, you will see that they can be used for so much more than creating scrapbook pages. 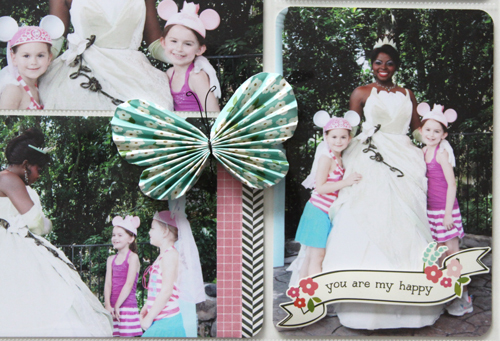 I was inspired to use the Journaling Cards as part of a wall art piece when I saw a clip frame at Pier 1. 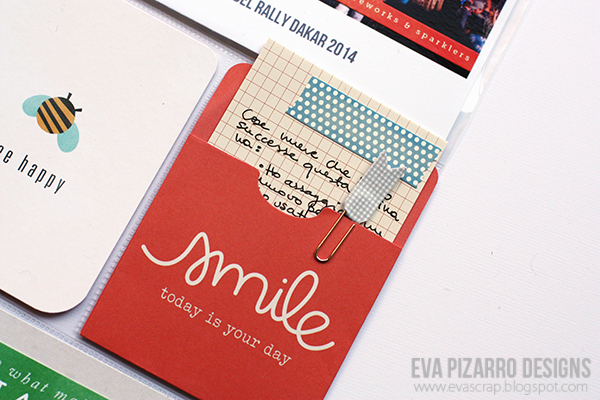 The openings, which were initially intended for photos, were the perfect size for the 3×4 journaling cards. Next, I proceeded to embellish the cards with pieces from the Garden Party Cardstock Die Cuts, Garden Party Cardstock Die Cuts Flower Packet, Garden Party Bliss Thickers, Garden Party Cardstock Stickers and one of the Garden Party Self-Adhesive Dimensional Butterflies. 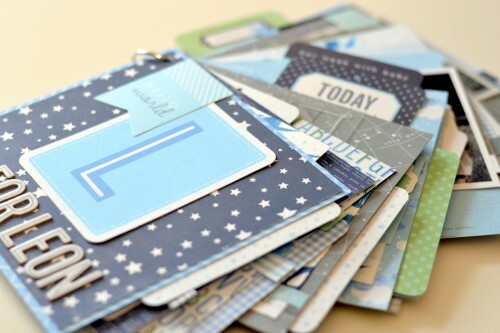 Many of the shapes I selected to decorate the journaling cards were based on the images already printed on the card.I then used American Crafts Foam Dots to attach the die cuts and stickers, which gives the images more depth and dimension. The clip frame came with it’s own clothespins, but I knew the Pebbles Garden Party Mini Clothespins would be the perfect thing to hang the Journaling Cards. 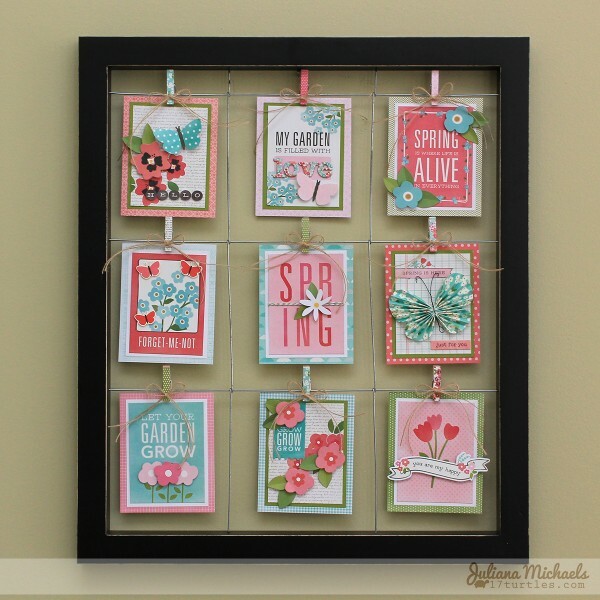 After I finished decorating the cards, I pinned them to the frame using the clothespins. If you look closely, you will see that there are 2 green polka dot and 2 blue floral clothespins. The pack only comes with one of each color or pattern and it also comes with a black and white chevron pattern and yellow/orange pattern that did not match my piece. To fix this problem, I took the green polka dot, blue floral, black and white chevron and yellow/orange clothespins apart. I then paired it so the back side of each clothespin would have the color/pattern that I didn’t want and the front would have the one wanted. I then put them all back together and finished them off by adhering a jute bow for added texture and fun. Now that you’ve seen this spring themed project, head on over to my blog (17turtles) to see a patriotic themed piece using this same clip frame and the journaling cards from the new Americana collection.